If you love searching for mason jar crafts on Pinterest, this is the post for you! I have gathered up 15 mason jar Pinterest boards for you to follow. This will ensure that you keep up with the latest in mason jar crafts at all times. Great right? Be sure to click over to each board and follow from your Pinterest account so you don't miss anything! 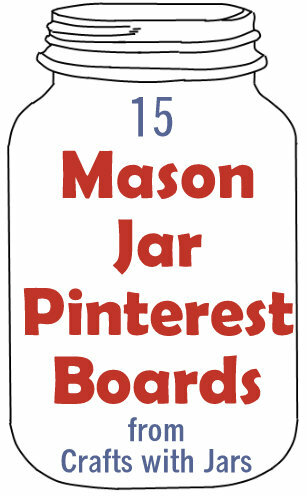 As an extra bonus, I also recommend following all of the boards from Ball Canning and Mason Jar Craft Love. Y'all enjoy!